I am a holiday junkie. I love completely packing up my house of all accessories and artwork and completely redecorating it in October and then again in November for Christmas. 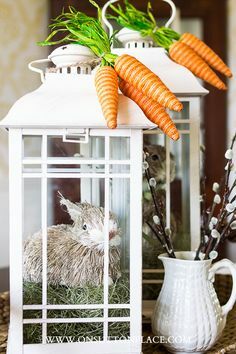 I have not found myself so inclined to decorate to that extreme for summer or spring but I do create a pretty extensive plan for outside in those months. But how do I do this without making myself crazy? I am without a doubt a list maker. On any given day of the week I probably have 10 lists I am running. One will be for household projects I am working on, another for meals and cooking, one for my business, another for my store and one for advertising and marketing. I spent years creating daily lists for what to do in my business on a daily, weekly, monthly and yearly basis that I also mirrored for my home and all things cleaning and tending house. So when something like decorating for the holidays come up, I get out those lists from last year and I start. 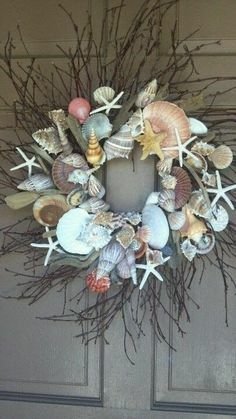 This year I am in a new house to me and I have all new areas to decorate and nooks and crannies to fill. 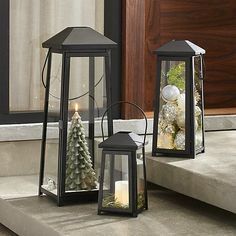 I have already sat down and figured what I want to do where so once my helper and I begin, all the decorations will fit where they belong and then I can work on adding the festive details like lights, glitter and snow. But how do you begin? Next what I do is take a quick inventory of the things I have currently, making note of what I would like to use and then create a quick list of new things I would like to add to my collection. I have a 10′ flocked Christmas tree that is stunning and I love more than anything but I don’t have a ceiling in my farmhouse taller than 8′ so unfortunately I will not be using this tree this year. Now, if I had a screened porch or some outside area that was protected from critters and winds I would use that tree in the space but this year it must stay in it’s protective bag. I keep in mind from year to year how many Christmas trees I have and want to put up, the collections of ornaments for various trees and any other special things like a collection of Santa’s or snowmen. Without a doubt I have either bought something in the summer or received a gift that I have completely forgotten about. It never fails I will open a plastic tub and screetch in delight over my new found item. But if I keep the things I know about in mind the new “found” items only add to my decorating. For this step I typically don’t make a full list of everything I own because it’s an entire room of storage but what I do is make sure I have my bigger decorating projects like my Fishing Village or my Christmas Vacation Advent House on the list. This way I know exactly what I want to put in this room and how I want to pull it together. 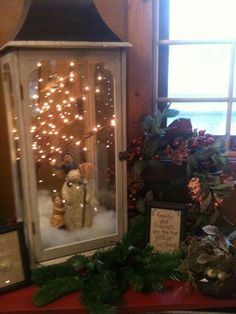 It will leave no questions when I start unpacking things and start finding the bits and pieces that will make up my Woodland Christmas theme. I will do this for each room so I know the direction for each room. The fun part of this process is about to begin but we have to get through the nitnoy stuff first to keep on task later. Once I have created the BIG PLAN of what I am doing I will again sit down with my lists and start breaking down each item to list what is required to finish each decorating area. I have touched on this in another section but what I need to do here is write out every single thing that I need to do to get the Christmas tree up. The list will unfortunately go on but it gives you a good idea how the process works. I have created this system for myself because when I have five minutes here or 20 minutes there I can look at my list and work on a small project. (My next task is to come up with times to complete each project so I can quickly glance and see what I might do in 5 minutes or 20 minutes.) The other reason I do this list making is because if someone says to me those famous last words, “what can I do to help?” I can go to my list and say, “well, I still need the garland strung on the stair railings.” And then it gets done. In the past I have had many many projects that required a team to complete. Having lists and being organized like this going into the project make it easier for anyone to look at it and complete the next task. In my many many professional years that I have been using this type of system I have never had a project only partially complete or not perfect at the end of the day. It has worked and it works every single time. One of the things I do after I am done decorating is review my list and make some corrections. If I noticed that I forgot to add something like get hooks for tree ornaments, then I add that to a main list of general things to do for the holiday. I also will add into my list things that I might like to do for next year. This way I am one step ahead when I brush off my lists in September or October and that much farther ahead. I always save a copy of this list on my computer and if I am feeling really organized I will save a copy of the printed list in my household lists file. All of the planning and thinking and visualizing has not been for naught, it is now Decorating Days! The morning you begin make sure you eat well, wear clothing that is comfortable with super comfortable shoes that will not slip on ladders, get your lists together and GO! The time has come to put your plan in action and give yourself and your family the most perfectly decorated home! Take a deep breath, keep your focus and go! Make sure you leave enough time for yourself in your day and enjoy the process, you will love how amazing your home is decorated and everyone will coo about how organized you are and where did you find the time to pull all of this off! Now you know.